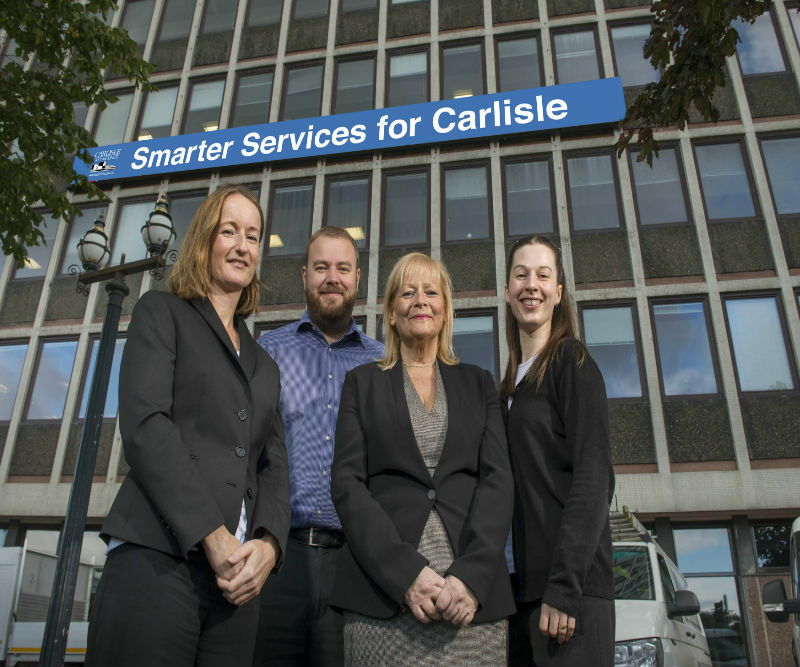 Smarter Service Delivery (SSD) is a project within Carlisle City Council (CCC) aimed at digital service delivery and service improvements. A new transactional website was created with a My Account module, over 16,000 users are signed up to this. The project has taken on Salesforce as a platform and built a CRM in-house. Salesforce is also being built as a replacement for back office systems where appropriate. IT staff have learned how to build and code Salesforce retaining control of changes at minimal or no cost. Complete integration has been made with back office systems where appropriate. Whether customers submit forms via the web or any other channel a record is created in Salesforce. Improvements to services have been made using a Lean approach, following the customer journey and automating processes where possible. To complete the journey City Council and partner services, eg police and passport office services, are delivered via the contact centre Advisors creating income, efficiencies & economies of scale. This allows back office staff to concentrate on their specialisms. The Smarter Service Delivery project has already drawn attention from a number of authorities. Some were interested in only parts of the project eg Salesforce. However, a number have been interested in the project as a whole and what it has achieved. The authority is keen to share best practice and lessons learned with other organisations. Salesforce are keen to do a case study on our authority as this is the first time they have been aware of the system being developed in-house and used in this way. The project has been a multi service approach with a range of staff working together to make it a success. Partners have also been involved creating a HUB for the customers to access conveniently in a cost effective way. Cashable savings are already being recognised including resource reduction as well as reduction in some core software systems. Customer information is held in one place allowing the organisation to be proactive with service planning. A real time dashboard has been created as part of Salesforce, therefore, service managers can be aware of issues immediately. Increased web interactions equal a cost saving for the Council and releases resources to continue to provide high quality and value for money customer service.